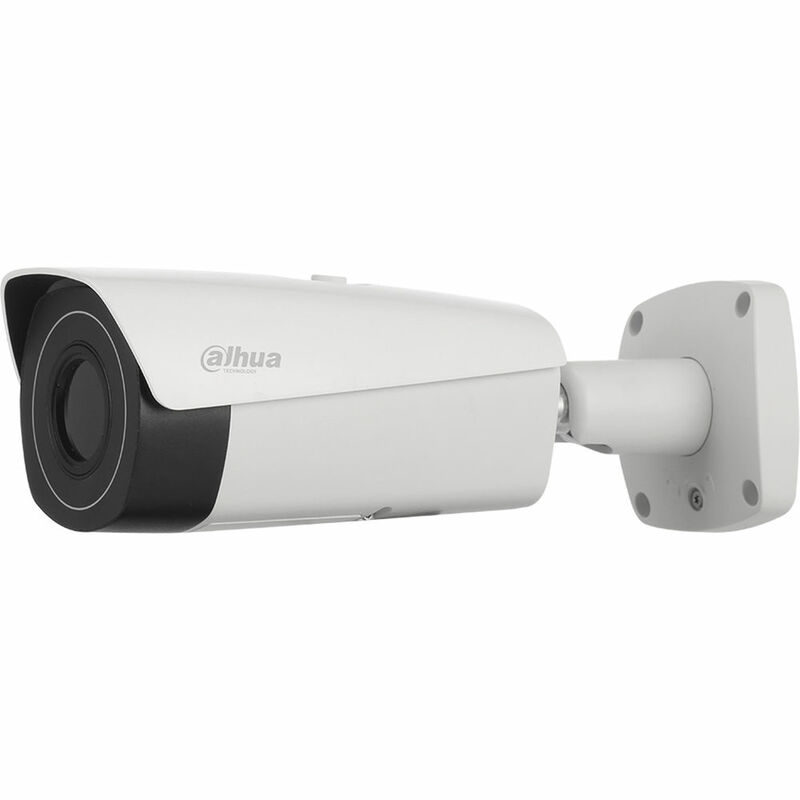 The Ultra Series DH-TPC-BF5600N-B13 Thermal Network Bullet Camera with 13mm Lens from Dahua Technology is equipped with an uncooled VOx microbolometer to capture 640 x 512 resolution video. The 13mm fixed lens delivers a 48.4° horizontal field of view. This camera detects rapid rises in temperature over short time periods and issues an alarm for potential fire threats at long distances. Two-way audio is possible thanks to audio input and output ports. An onboard memory card slot supports microSD cards up to 128GB (available separately). Integrated PoE technology simplifies connectivity by enabling the transfer of power and data through a single cable. This thermal bullet camera is ONVIF compliant for Profiles S & G, ensuring compatibility with a wide range of surveillance devices. Designed for outdoor use, it is housed in an IP67-rated metal enclosure.